Back in June, I posted about Digital Comics and my foray into going digital with a monthly comic. A few months on I thought I’d post a bit of an update. As mentioned, when digital comics were first taking off, comic book retailers threw a hissy fit thinking it would hurt them and mean their days were numbered. The opposite has happened. The trend seems to be, those who are reading digital comics are actually reading more physical comic books as well. One has not leached numbers from the other. It could be because digital gives them a taste of that wonderful comic book drug, and then they just have to seek out physical comics to get another fix! Or, the digital comics acted as gateway books, gave them an idea of what they like and don’t, and then it enabled fairly new readers to go into a shop and pick up a collection or start a monthly pull list. I’m sure there are many reasons, but there’s one I’ve not seen discussed very much, which I wanted to suggest. I believe, one of the reasons, not the only one, that digital sales have not cannibalised physical comic sales is that some of the readers live in countries where getting hold of physical copies of monthly comics on a regular basis is not easy. Or, when it does happen, it is months behind, and then there is the problem of missing issues, and having to just guess what happens, or read about it online. I’m lucky because I’ve always lived near a comic shop since I was about twelve, and also living in the UK, we used to get American monthly comics one day after America. Now, UK retailers get them on the same day as their US brethren. But, if you live in Romania, or Russia, or China, and you want to read Detective comics, if you want to be a part of your tribe’s discussion, when it happens, if you want to feel like a part of that community, relying on physical comics is not easy. In this shrinking world, with it’s 24 hour news culture, the constant buzz of information, people are always switched on, connected, plugged in. So who wants to be left behind and find out 2 years from now what happened at the end of the Court of Owls in Batman? Mark Millar has a theory which he’s mentioned a few times that most people who read digital comics are casual readers only, and that day and date releases are not a good idea. To be fair to him, he’s said the latter as he was worried about retailers, but I think he’s very wrong for the reason I’ve outlined above. I’m not alone in this as Brigid Alverson outlined in a CBR article back in May. As someone who is not a casual comic book fan, and someone who has taken a bigger plunge into the digital comic book world, I’ve found that something unusual has happened. Or rather, it’s exactly what I’ve described above. I’ve actually found I’m reading a few digital monthly comic books, whereas back in June my initial plan was to read one and see what happened. I’ve discovered new and interesting titles via all of the usual channels (podcasts, comic book websites, word of mouth and recommendations). There are definitely some pros and cons to digital comics, which I’ll come back to in another post, but for now below is a list and a brief description. 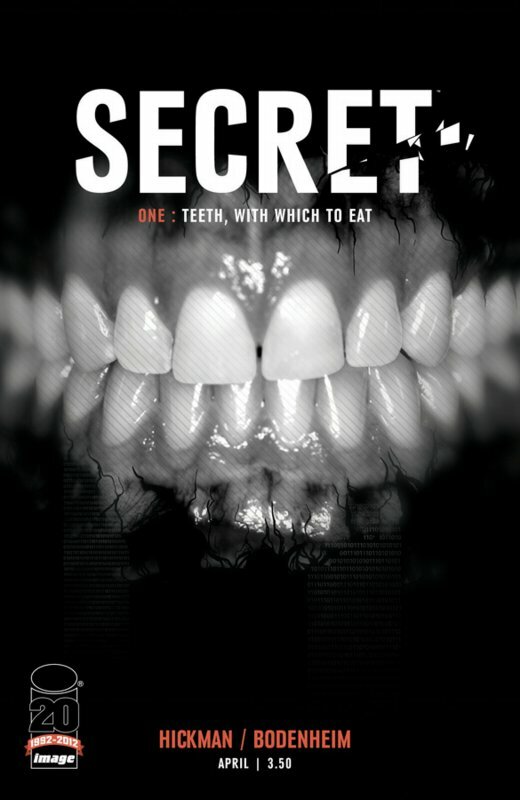 Secret – Not an easy comic to describe, but to give you an idea of the flavour, it involves espionage, kidnapping, mysteries, revenge, hitmen, and it focuses on the characters in a private security firm. This is written by Jonathan Hickman, who is known for having big, complex ideas and out of all of his independent work, I prefer this over Manhattan Projects, which I enjoy. This is less zany, cartoony, totally grounded in reality, but there are layers and puzzles and intrigue. From Image comics. 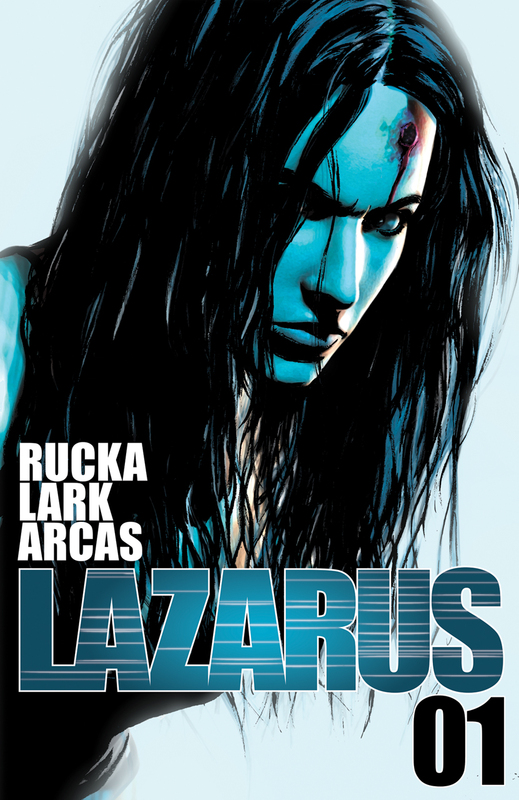 Lazarus – Written by one of my favourite writers in the industry and drawn by one of the best. In a near dystopian future, governments no longer exist and the Families rule. Each has certain advantages and are masters of certain technologies or resources that keep them above everyone else who they exploit. Part mystery, part near-SF, part action thriller, it follows one of the Family’s protectors, a woman called Forever Carlyle, who is shrouded in mystery and I won’t say any more as it’s a fascinating and brilliant read. From Image comics. 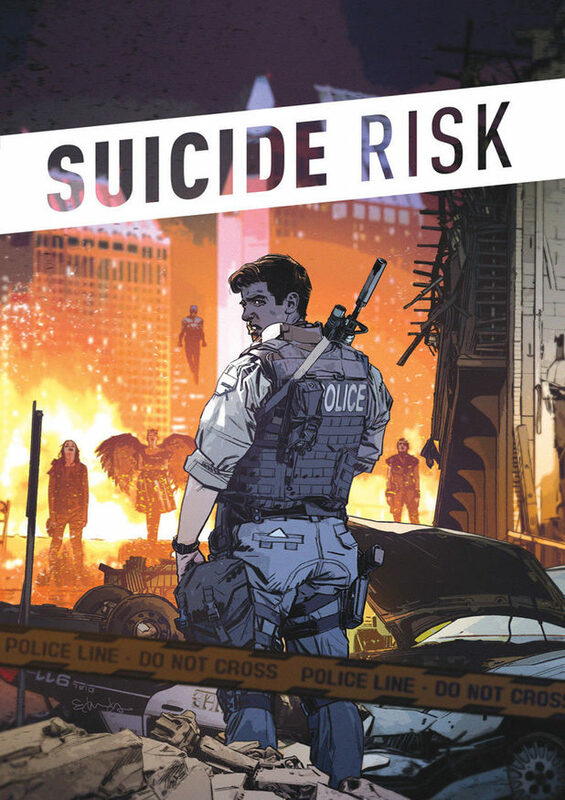 Suicide Risk – Mike Carey writes an ongoing superhero comic for Boom! Studios, which means he can write the story he wants without worrying about protecting the IP. People with powers are popping up, the police are fighting a losing battle and most of those who do have powers seem to be dangerous maniacs or villains. An ordinary cop gets dragged into trying to track down some of the most dangerous but it’s not all action. Carey takes time to make you care about the main character, his family and his relationships. Lots of unexpected twists and turns in this story and we’re only 4 or 5 issues in. Very liberating because I genuinely have no idea what is going to happen next. 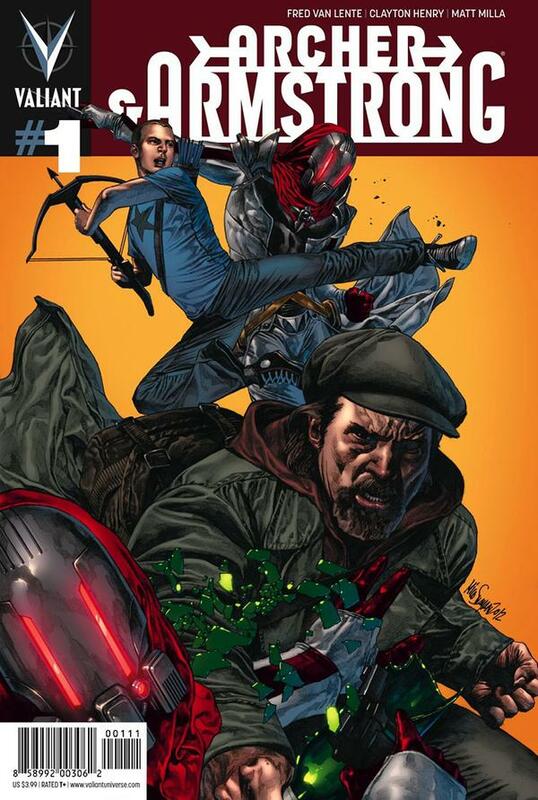 Archer and Armstrong – this is from Valiant comics. They publish about 6 monthly titles. That’s it. They’re not connected, they’re all very different, the writers and artists are all excellent and all a lot of fun. Archer and Armstrong is funny, wacky, full of action, mysticism, adventure, weird cults and genuine laugh out loud moments. Archer is the product of a weird religious cult bent on destroying the ultimate evil, Armstrong is an immortal drunk and the ultimate evil Archer was hunting. The odd couple end up on a globe trotting adventure. A really fun rollicking good adventure. Red Sonja – From Dynamite comics, written by Gail Simone. 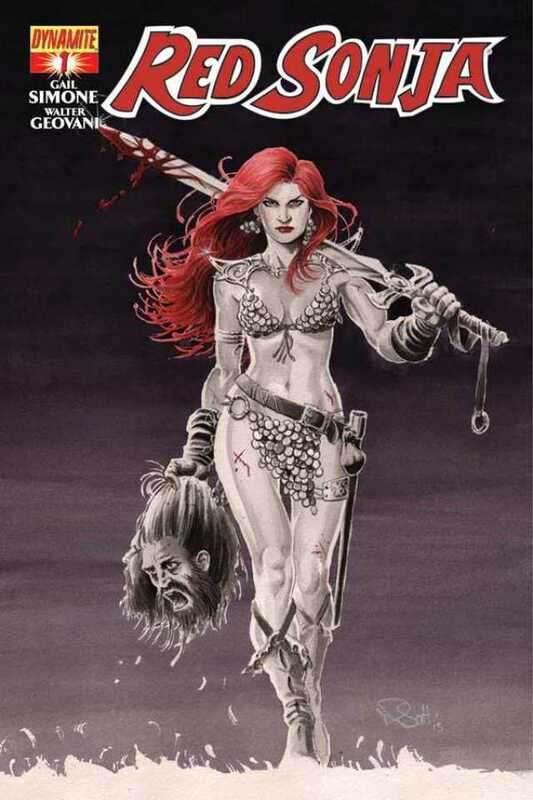 Not sure if it needs much of a description but if you’ve never read Red Sonja before it is a fantasy comic book focused around the titular hero who is a sword wielding red haired warrior. Also you don’t need to have ever read any previous issues of Red Sonja and can jump on with this series which is only 3 issues in so far. Gorgeous artwork, great storytelling, fantastic fun with swords. 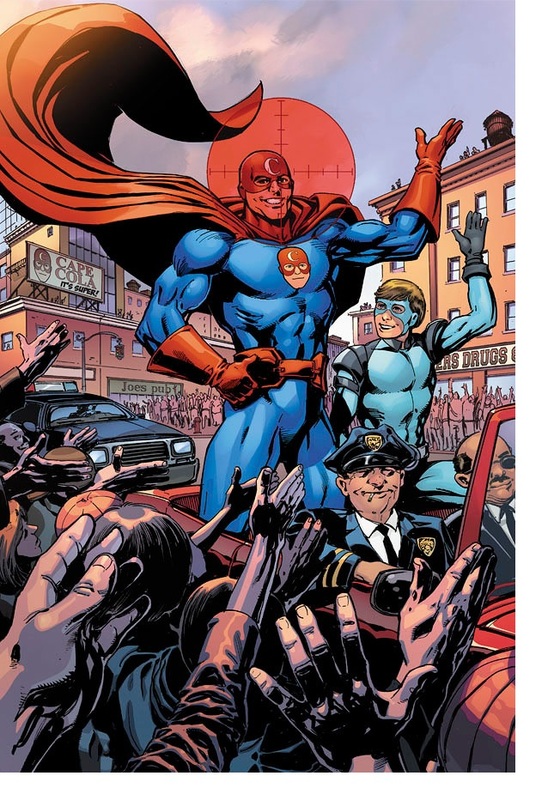 Sidekick – Written by JMS, creator of Babylon 5, who has written mainstream comics for decades. In the last couple of years he’s started doing more creator owned comics, and now has his own sub studio imprint at Image comics calls Joe’s comics. This is a dark superhero comic, with art by one of my favourite artists of all time, Tom Mandrake. The setup is what happens when the great hero, a Superman archetype, is taken out of the picture. The big hero everyone knows and loves is assassinated and his sidekick is left with nothing, in a world where he doesn’t seem to fit without his friend and mentor. It’s pretty bleak at times, but the sidekick searches for answers, for a place to belong and a way to matter. Definitely for adults only and because it’s not tied to any big named characters JMS can go in all sorts of directions you would never see in a mainstream superhero title. 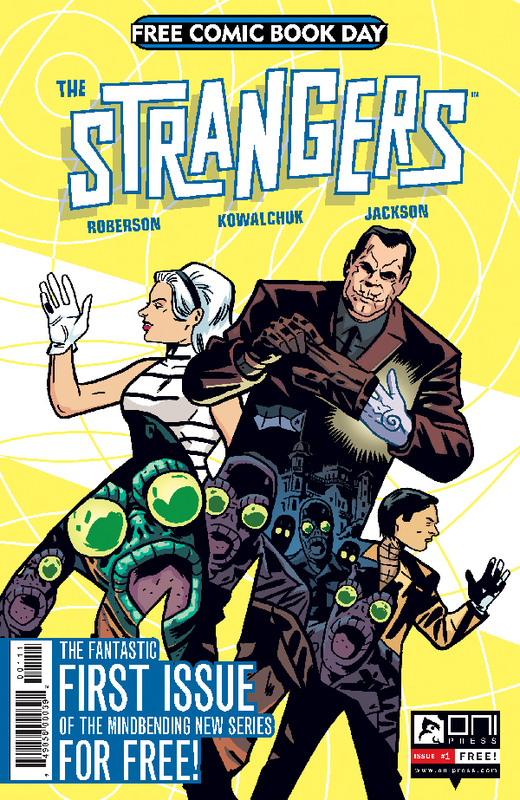 Other honourable mentions that I pick up are Mysterious Strangers from Oni Press, it’s fabulous light hearted pulpy fun. Edison Rex from Monkeybrain Comics which is a digital only comics publisher (with physical collections later on down the line) and I’ve been reading some titles on Thrillbent, Mark Waid’s online digital comics experiment website where there are lots of interesting ideas. My favourite is The Eighth Seal by James Tynon. I’ll come back to digital comics again in another post with some of my pros and cons. But for now I’m enjoying digital comics, there is a lot of great stuff out there, and I’m reading more comics and looking forward to the almost weekly digital pull list.